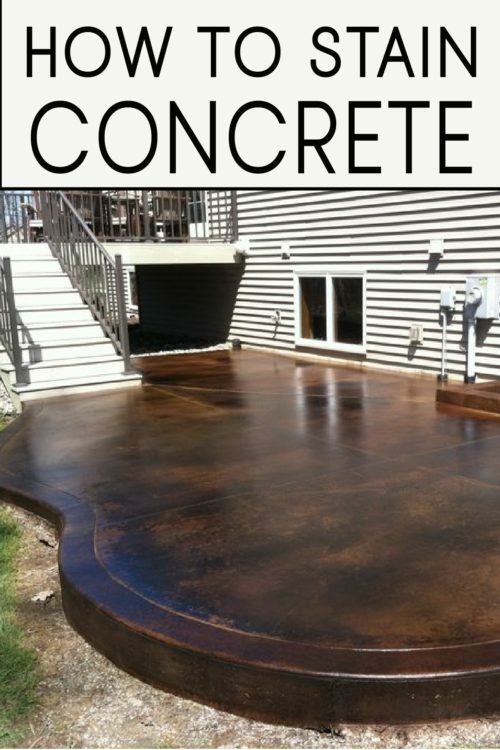 Concrete is not just for driveways. A few years ago, concrete flooring started showing up in some of the most luxurious homes in the country. I was shocked at first, who would have thought of concrete in the home? However, it isn’t the same concrete in your garage. No longer is concrete seen as a drab, matte, grey driveway. Today’s concrete is beautiful, shiny, artistic, and can often resemble marble flooring. 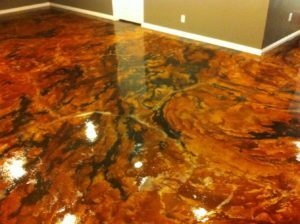 We are going to talk about how to stain concrete indoors as well as outside. Making concrete a stunning part of your home is all about staining it to bring out its natural beauty. Best of all, it’s easier than you think. Whether you have an uninspiring porch, a drab walkway, or your considering creating a beautiful concrete floor in your new home, here’s everything you need to know about creating a stunning surface. If you’re pouring fresh concrete, it should be allowed to cure for 1 month to 1 year before you stain it. If you’re looking to stain an older concrete patio or walkway, you’ll need to repair any cracks of holes first. 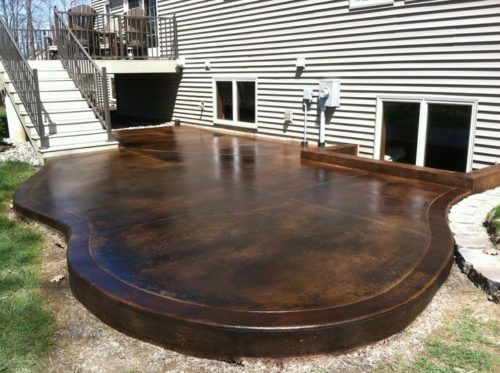 Concrete stain will not do you any favors, so the concrete surface needs to be cured, level and smooth before you get started. If your concrete is beyond simple repairs, you might want to consider a solid color paint or stain instead. The next step is to clean your floor with soap and water, don’t use bleach – it may create a deadly gas when reacting to the chemicals in the stain. Just sweep or vacuum and give it a good mop job. 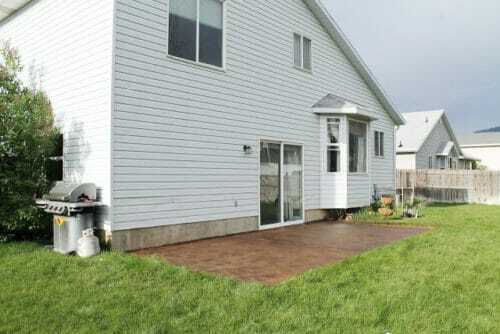 You can find specialty concrete cleaners, but be sure they do not include bleach or a bleach agent. 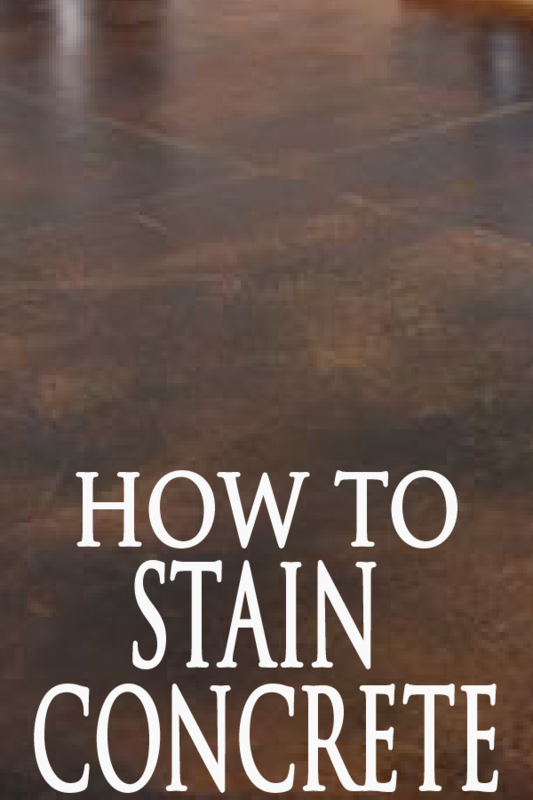 Concrete stain is a specialty product, so make sure you’re not trying to use wood stain on a concrete floor. You can use a sprayer, brush, or roller to apply the stain. For outdoor jobs, a garden sprayer does a wonderful stain job. The best time to stain is when the floors can stay completely try for several days, so it’s best to check the weather before you start. You will likely need at least two coats of stain. After the stain has dried, scrub the surface with a bristled brush. This will remove any extra stain. Then wash down with ammonia and baking soda. This will neutralize the stain. Follow with a wet vacuum to remove the moisture. 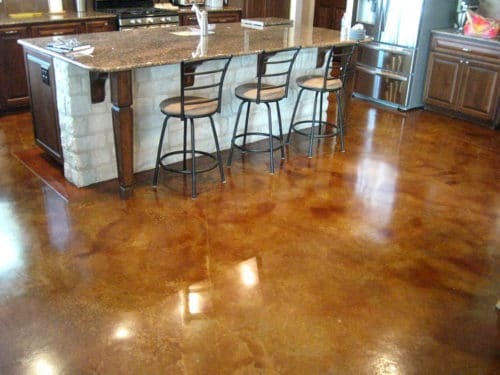 The final step in concrete floors is to seal your beautiful new flooring and make them shiny and durable. The sealant is applied in a similar way to the stain, with spray, roll, or brush. If you want to add depth and texture to your concrete floor, you can follow the stain with a dye that is sprayed on top of the concrete to give a mottled look. This is a little tricky, but uses the same general process of mixing a dye, and then spraying the surface of the floor. 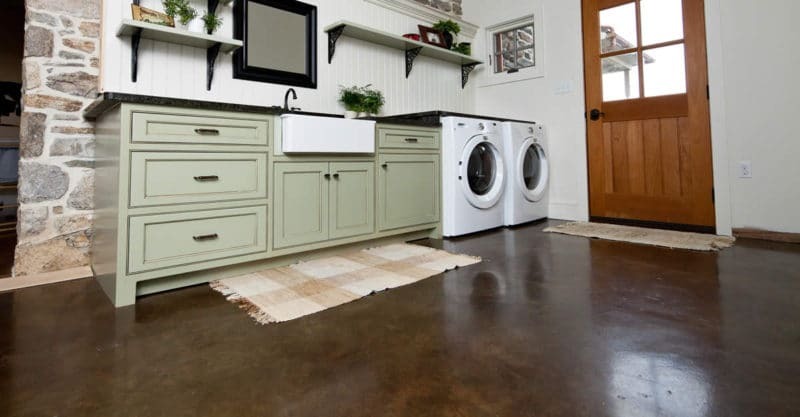 Whether you’re upgrading your patio, installing brand new concrete floors inside, or just adding a little dimension to existing floors, concrete creates a stunning finish that durable, maintenance-free, and sure to impress. 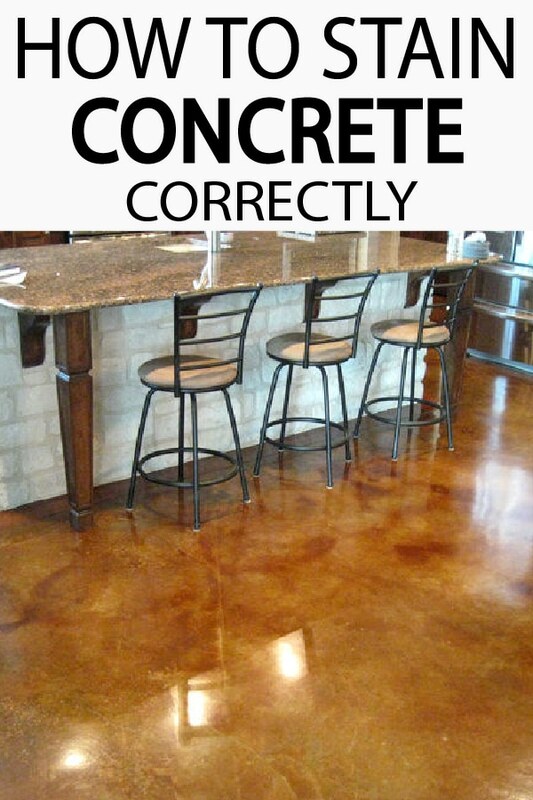 I hope these tips have helped you feel empowered to know how to stain concrete in your home! Remember these tips and pin them!